PureVision Multifocal contact lenses deliver clear and crisp vision for contact lens wearers with presbyopia. 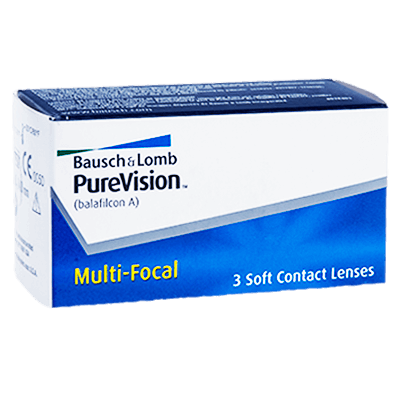 Enjoy an unrivalled degree of comfort, alongside sharp and reliable vision when you choose these multifocal contact lenses from Bausch & Lomb. 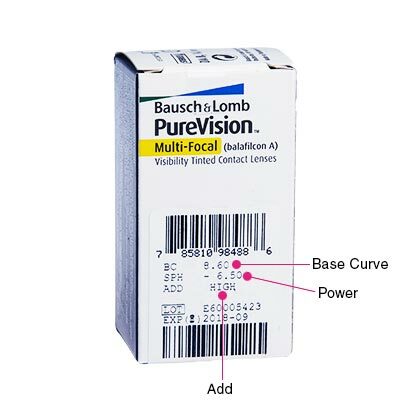 To combat the issue of presbyopia and the difficulties in focusing that the condition causes, PureVision Multifocal contacts facilitate seamless transitioning between visual distances. This means you can enjoy uninterrupted vision, all day long, without the need to carry around bifocal or varifocal glasses. 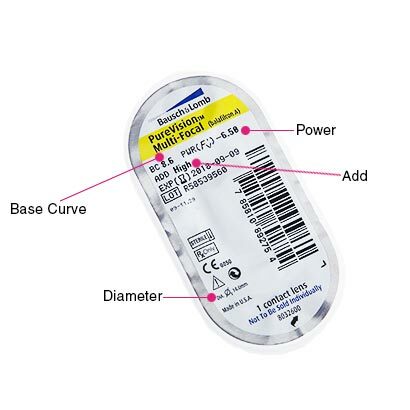 By using AerGel material, these silicone hydrogel contact lenses provide a smooth and wettable surface, also allowing more oxygen through to the eyes than most other contacts. This promotes healthier eyes, keeping them fresh and hydrated all day long. Ideal contact lenses for dry eyes, PureVision Multifocal contact lenses are designed to stand up to the demands of even the most trying of days. These monthly contact lenses are designed for daily wear, with nightly removal and cleaning and storage in contact lens solution. Look after your lenses with one of our multi-purpose contact lens solutions. We recommend comfi All-in-One Solution, an exceptional product at an even better price. Alternatively, you can wear these lenses as extended wear contact lenses for up to 30 days and nights, meaning you won'y have to remove them before you sleep. However, please speak with your optician first to see if extended wear is suitable for you.